Wyoming slot machine casino gambling consists of 4 American Indian tribal casinos offering both Class II bingo-style gaming machines as well as the more typical Class III slot machines. As it is a popular pastime in Wyoming, approximately 21 locations offer Class II bingo-style games only. Regarding payback return percentages, Wyoming has neither set a legal limit nor publicly reports actual payback returns from Wyoming casinos. Pari-mutuel horse races are also available, for those interested. These gambling facilities do not offer traditional slot machines. Wyoming Slot Machine Casino Gambling 2018: The Great Seal of the state of Wyoming. The minimum legal age for gambling in Wyoming is 18 for all types of gambling. The maximum size of bet legally permitted is $25. Pari-mutuel horse races are also available, for those interested. These gambling facilities do not offer traditional slot machines. However, state legislation signed into law in 2013 allowed these establishments to offer gaming machines that appear to be slot machines. But, they are actually historic horse races with limited race information available. This activity has effectively made pari-mutuel wagering available year-round, with a subsequent boost to local economies. Wyoming Slot Machine Casino Gambling 2018: The Grand Tetons. It is legal to privately own a slot machine in the state of Wyoming if it is 25 years old or older. 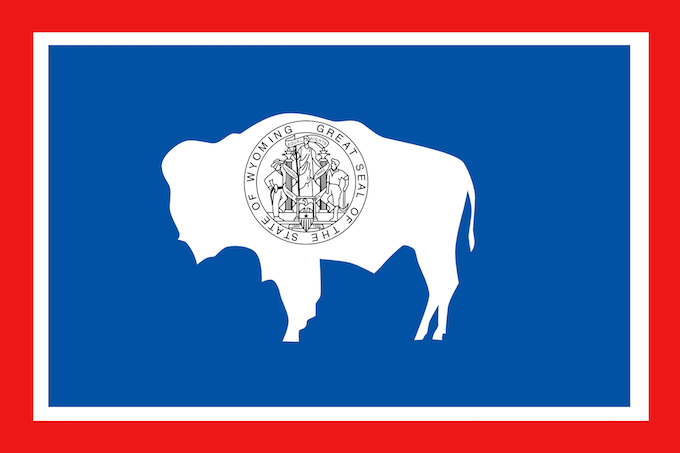 The state of Wyoming has a state lottery agency as well as a Pari-Mutuel Commission. 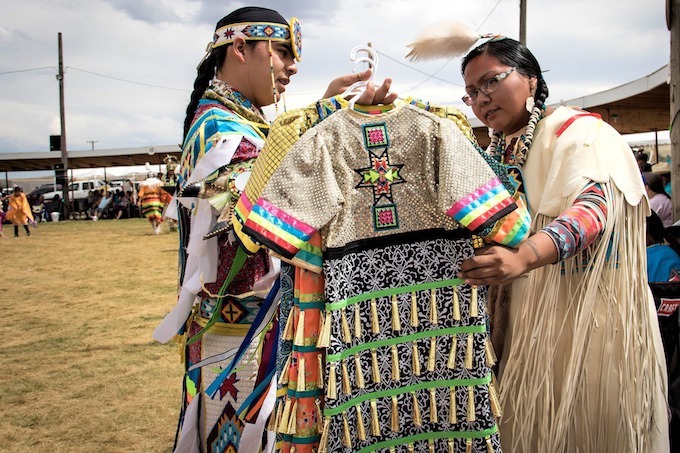 However, Wyoming does not have a gaming commission for slots and other casino games, as these games were established by federal law through state-tribal compacts under the IGRA of 1988. That being said, however, as recently as 2015 Wyoming lawmakers has been weighing whether or not to establish a gaming commission due to gaming’s ongoing expansion in Wyoming. This has apparently been driven by the expansion of poker rooms as well as certain activities of the state lottery beyond traditional lottery drawings. 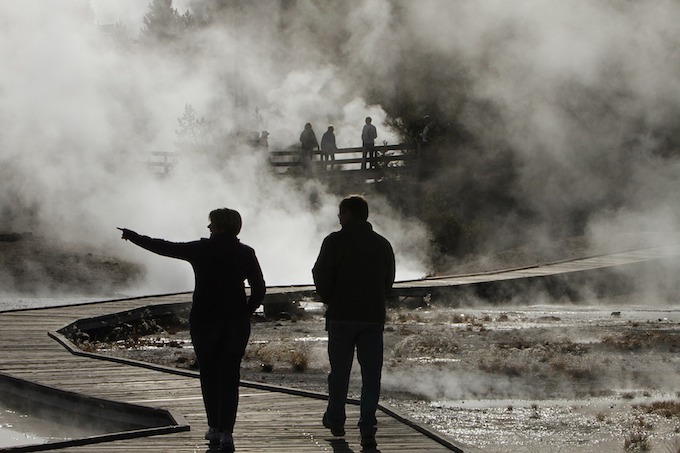 Wyoming Slot Machine Casino Gambling 2018: Yellowstone National Park geyser. The largest casino in Wyoming is the Wind River Hotel and Casino. It has 750 gaming machines and 9 table games. The second largest is Little Wind Casino, having 170 gaming machines and 5 table games. 789 Casino in Riverton, located 125 miles west of Casper. Little Wind Casino in Arapahoe, located 140 miles west of Casper. Shoshone Rose Casino & Hotel in Lander, located 140 miles west of Casper. Wind River Hotel and Casino in Riverton, located 125 miles west of Casper. Wyoming Slot Machine Casino Gambling 2018: a American Indian tribal ceremony. Wyoming slot machine casino gambling consists of 4 tribal casinos offering typical Class III slot machines. both traditional reels and video progressives, as well as Class II bingo-style games. Wyoming has neither set a legal limit on payout returns nor publicly reports actual payout returns from Wyoming casinos. Bingo is a popular pastime in Wyoming, offering an additional 21 bingo halls. For those interested, pari-mutuel horse races are also available at multiple Off Track Betting (OTB) facilities. These pari-mutuel wagering facilities do not offer traditional slot machines. Previous: Wisconsin Slot Machine Casino Gambling 2018 – Wisconsin slot machine casino gambling consists of slot machines available at 22 American Indian tribal casinos operated by 11 federally recognized tribes. Through state-tribal compacts available online, payout returns may be between a minimum of 80% and a maximum of 100%. Actual payout returns are not reported. Next: Alabama Slot Machine Casino Gambling 2018 – For those interested in slots, there really isn’t any such thing as Alabama slot machine casino gambling. Only Class II bingo-style machines are offered at 3 American Indian tribal casinos and 1 pari-mutual wagering racino, with no legal limits on payout returns or actual payout return statistics publicly available.